And Jesus said, “Let her alone; why trouble ye her? she hath wrought a good work on Me.7 For ye have the poor with you always, and whensoever ye will ye may do them good: but Me ye have not always. She hath done what she could: she is come a forehand to anoint My body to the burying. Day 4 of the Holy Week finds Jesus back in Bethany, this time in the house of Simon the leper. The Gospel of John records in 12:1-8 that Mary, Martha, and Lazarus actually attended a Dinner for Jesus two days before the Passover and Crucifixion of Jesus. Martha served and Lazarus whom Jesus had raised from the dead also sat at the table with Jesus. John records that sometime during the dinner that Mary anointed the feet of Jesus. 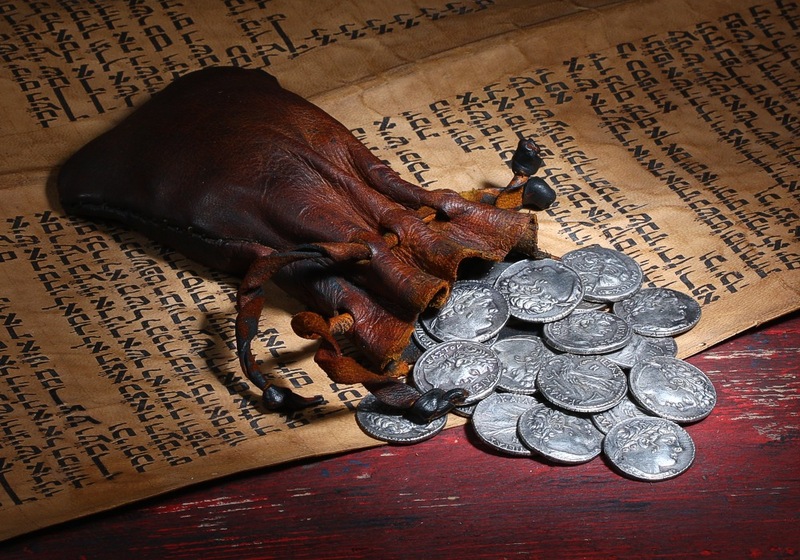 Judas Iscariot and some of the disciples were also in attendance and protested the costly anointing of Jesus. It seems that the anointing of Jesus feet by Mary triggered Judas Iscariot to leave the gathering and go to the chief priests and betray Jesus by offering Him up to their evil desires, which had been to have Jesus killed. A nice setting at the home of Simon the Leper; Jesus there with Lazarus and friends enjoying what appeared to be a great fellowship. Mary, having saved for we don’t know how long, had brought forth an alabaster jar of expensive spikenard and proceeded to anoint the feet of Jesus. I believe that Mary, giving from her heart and her savings showed an affectionate and loving gesture, maybe not really knowing the significance of it all, until Jesus spoke up. Sadly, instead of focusing on the things that were before them, they reacted selfishly in contrast to Mary’s devotional response. What was the most important thing at the point was tilted away from the disciples as some of them agreed that the money could have been spent on more ‘important’ matters. First of all, who was the one leading the brigade with this thought but Judas Iscariot who was in charge of the monies for the group. This was money saved up for, who knows how long by Mary. She was giving to Jesus, really all her savings, in the form of anointing oil. For us today, the challenge is this: When we are in the presence of Jesus, maybe in a fellowship of believers, breaking bread; are we a Mary or a Judas? Do we give from from the perspective that whether Jesus comes for us or doesn’t come in this lifetime, that we will give our all, not doubting? Or are we a Judas, who was upset seeing that Jesus was not going to establish the New Kingdom now. He wasn’t seeing things with an eternal perspective, he wanted things to happen now, or else! For us, we have to admit, that sometimes we fall in the way of Judas. We do betray Jesus by our lack of faith in trusting Him especially when things aren’t happening fast enough, the way hoped they would be. On this 4th Day of the Holy Week we need to really examine out own lives and how they reflect to this passage. What was shocking was that some of the disciples agreed with Judas! Thankfully, Jesus knows how easy it is to be led away by the lies of Satan. He was in the midst of that group that night in attitude through one person. That one person as misled as he was, almost dragged the rest of the disciples into one divisive thought; What is Jesus worth to you?